A Siamese cat turns into a human, Miss Minoes (Carice van Houten), when coming into contact with toxic chemicals stored in barrels that fall from a truck. Tibbe (Theo Maasen) works as a cub reporter for the local newspaper. It’s clear from the get-go that he’s quite incompetent and inarticulate because he doesn’t even know how to properly introduce himself to someone to ask him a question or how to get his attention for that matter. He first spots Miss Minoes atop a tree as she runs away from a dog. He later finds her again at night outside his window, and lets her stay at his place. Since she’s still able to communicate with cats, she consults the town’s cats for information about a factory owner who has diabolical plans of his own. That juicy info, when passed along to Tibbe, boosts his reputation as a reporter. 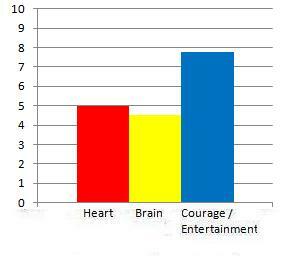 In case you haven’t realized by now, the more you try to make logical sense out of this children’s movie, the less you’ll be able to enjoy it. Director/co-writer Vincent Bal weaves a very simple plot with cardboard, cartoonish characters and no surprises. While the premise of a cat-turned-human sounds refreshingly inventive and bizarre, those sentiments gradually wane along with the film’s inventiveness. You could only imagine what a filmmaker like Michel Gondry or Terry Gilliam would have done with this premise, but then this would have been a totally different movie for a totally different kind audience. Little kids tend to suspend their disbelief better than adults do, so they’ll be able to be immersed in the story much more easily and to embrace its unabashed silliness while overlooking the bad English dubbing. Adults, though, will have not much to cling onto except the charming performance by Carice von Hauten, the adorable, brave little cats and the refreshingly bizarre premise. The bad dubbing is distracting at first, but you’ll get used to it (somewhat) eventually. 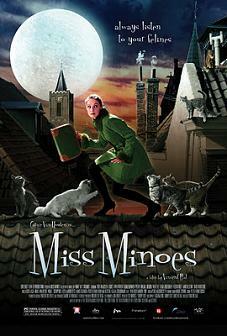 At an ideal running time of 1 hour and 23 minutes, Miss Minoes is charming, harmless, refreshingly bizarre and unabashedly silly, but kids will be much more entertained than adults. 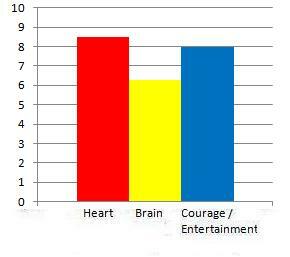 Number of times I checked my watch: 3 Opens at the Cinema Village.Released by Music Box Films. Every now and then comes a documentary such as Pina that’s so visually stunning and breathtaking that it compels you to recommend it on aesthetics alone. Even if you’re not familiar with the life and work of German choreographer Pina Bausch, you’ll be in awe as you watch the dancers of Tanztheater Wuppertal Pina Bausch perform Pina’s modern, interpretative dances routines in glorious 3D. The dance numbers are filled with awkward movements, actions and juxtapositions that make them all the more unique, memorable, bizarre, unpredictable, complex, magical, funny and interesting—much like life itself. Anyone looking for more insight into Pina’s art and what it’s like to work with her should watch Dancing Dreams which has more talking heads and behind-the-scenes footage than performance footage. Pina, with its plethora of dance numbers, provides audiences with an experience of Pina’s art rather than a study or analysis of it that provides insight. That experience does tend to become overwhelming and tedious at times without any insightful interviews to balance all the dance footage, so don’t be surprised if you end up with many questions about Pina’s background or the significance of the dances. Director Wim Wenders has made this documentary as a tribute to Pina, his longtime friend, who succumbed to cancer during the early part of the production in 2009. 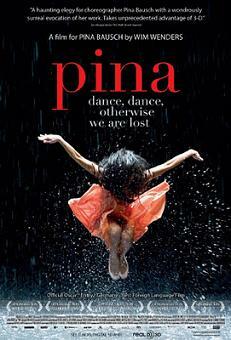 Everything about Pina celebrates the choreographer’s amazing talents, and deservedly so. The music, dancing, set designs and even Wenders’ cinematography all intertwine to create an exhilarating experience of sights and sounds that’s magnified in 3D. So much complex emotions rise to the surface that there are no adequate words to truly describe the experience of watching Pina’s interpretive dance numbers passionately performed by the Tanztheater dancers. Only those who genuinely appreciate dance (or art in general) as a reflection and celebration of life will find an emotional connection to the sights and sounds found in Pina. Everyone else, especially those who have no depth, will find themselves bored, annoyed and frustrated, but those individuals are certainly not the intended audience. At a running time of 1 hour and 46 minutes, Pina is an often exhilarating, lively, magical and breathtaking experience of Pina Bausch’s art. Number of times I checked my watch: 2 Opens at the IFC Center and Elinor Bunin Munroe Film Center.Released by Sundance Selects.